Restarting your iPod touch to improve its speed is a well-known trick. But this boost in speed is only temporary. After some time or a few days, you will again see that your device is working sluggishly, hanging at times and crashing completely as well. 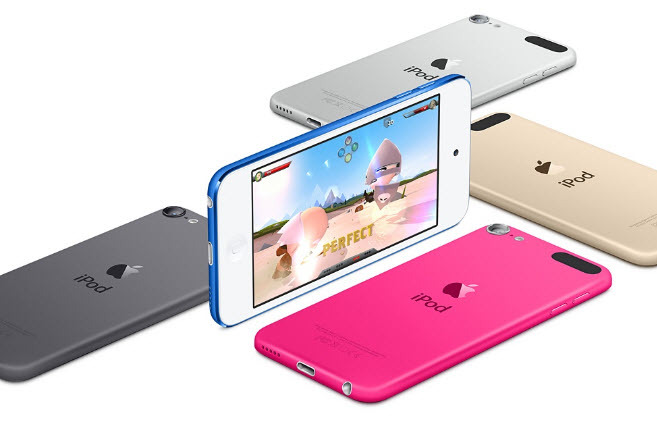 There are a number of reasons that might cause iPod touch running slow. For instance, you might be using multiple apps and not closing the apps after use, the memory of your device might be running low, or you might be using multiple services together. If you are looking for ways to speed up your slow iPod touch, the below mentioned methods are sure to help you out. Follow the below steps to close those unnecessary apps. Tap on the Home button of your iPod touch twice to open the multitasking screen. Now, right or left until you see app that is running but you don’t want to use it any more. 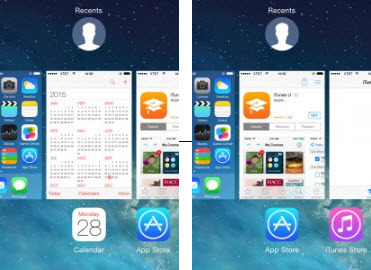 Simply swipe that apps thumbnail upwards and close that app. Deleting apps is an excellent way to clear up space in your iPod touch which might solve the problem of slow iPod touch. As you might have already paid for the app once, the App Store will remember it and you will not be required to pay for it again. Follow the below steps to delete apps. Step 1: Tap on Settings -> General -> Storage & iCloud Usage -> Manage Storage. Step 2: Here you will see all the apps that are installed in your iPod touch. Tap on the app that you don’t need anymore and then tap on the Delete button. While you might know now, a lot of additional services run in the background in your iPod touch. While some of them are important, others are not. Apart from causing your iPod touch running slow, these services also consume a lot of additional charge from your device. You can disable the ones that you don’t need to improve the speed of your iPod touch. Follow the below steps to disable them. 1. Tap on Settings and then on iTunes & App Stores. 2. Now, toggle all buttons to the off position that are located under Automatic Downloads heading. 3. Now, Touch on Background App Refresh and toggle it to the off position as well. Above methods are all about manually deleting, which is tedious. However, there is other perfect method which allows you to clear up huge space with only one-click. 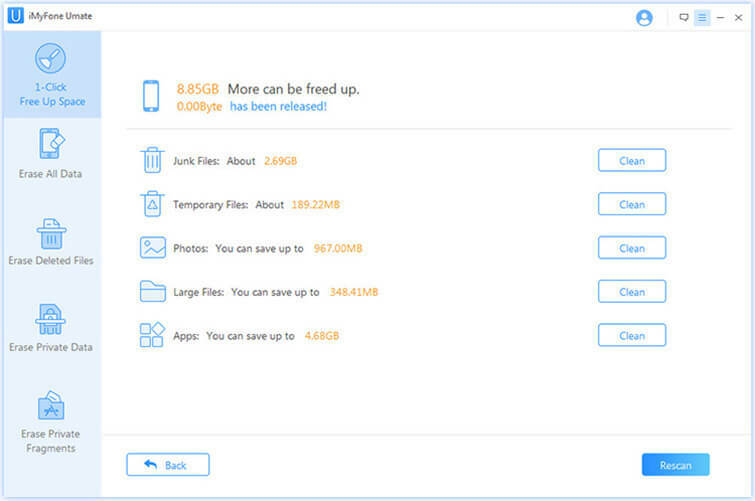 iMyFone Umate cleaner Windows /iMyFone Umate cleaner Mac is a powerful software that allows you to manage the storage of your iPod touch easily and quickly. With over 25 analysis technology, just one click, you’ll know where and how all the space on your device is being used. 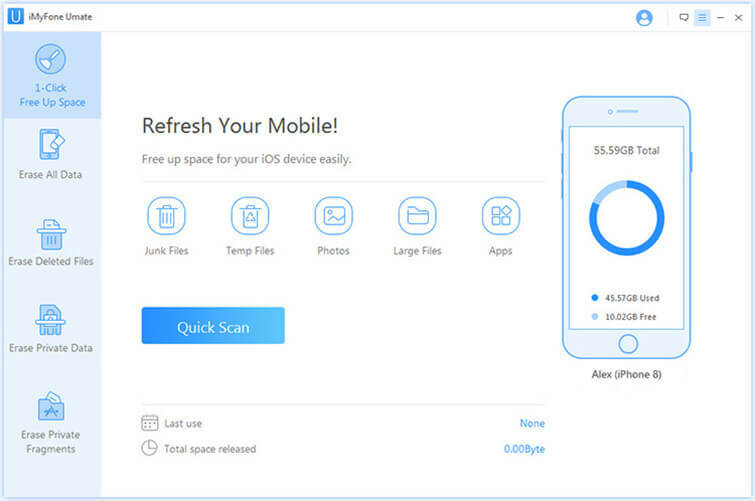 It has a number of features, like One-Click to clear junk files, clean temporary files, compress photos without losing their quality, delete large files, remove apps, etc. to provide you with additional space in your iPod touch and improve its speed. Its ability to clean corrupted files, crash logs, crashes and other junk does good to boost up your iPod touch. Only 3 simple steps on iMyFone Umate cleaner will help you to free up tons of space. To use this software, follow the below mentioned steps. 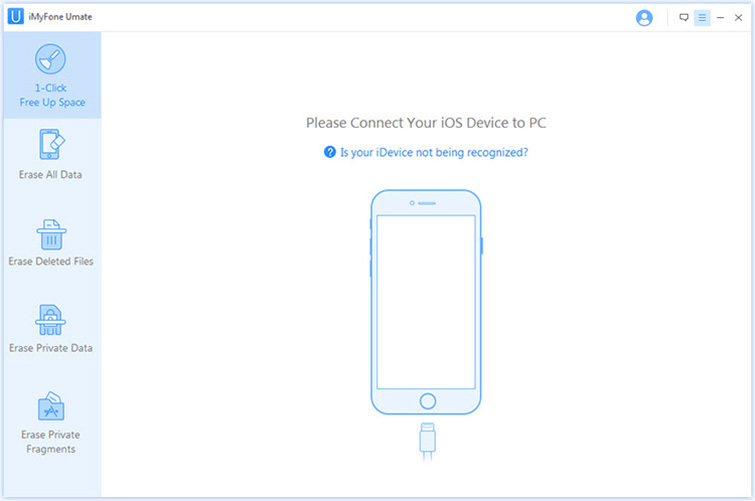 Step 1: Install iMyFone Umate in your PC/Laptop, once installed, connect your iPod touch to your PC/Laptop. 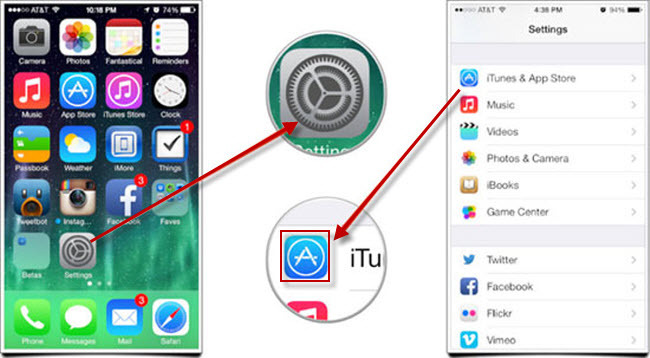 Step 2: Open the iMyFone Umate and click on the Scan button to scan the storage of your iPod touch. When the scan is over, you will now be able to see all the content of your iPod touch. Step 3: You can now easily delete the files that you don’t want, delete trash with a single click, compress photos, and a lot more. iMyFone Umate cleaner makes it easier for you to control the storage of your iPod touch. It has a number of features to free up space from your iPod touch to make sure that it runs smoothly and efficiently. You can download iMyFone Umate here to make your slow iPod touch run faster.